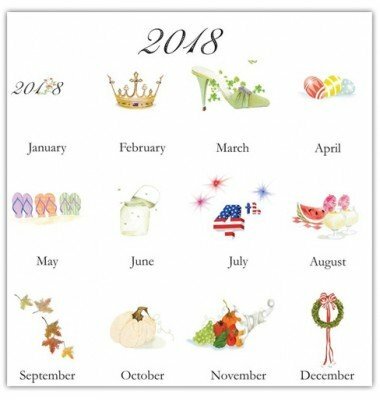 Each page of our 12 month 2018 calendar is hand glittered with care. 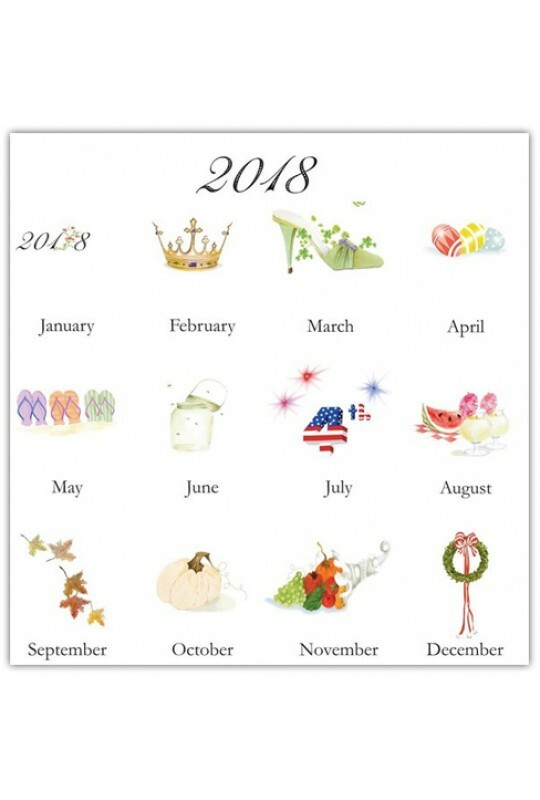 Every month of the year displays a unique design and depicts a special time throughout the year. The calendar comes packaged in a ribbon wrapped French flap envelope. This popular gift item is available to ship now.